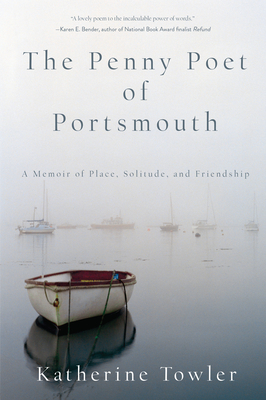 The Penny Poet of Portsmouth is a memoir of the author's friendship with Robert Dunn, a brilliant poet who spent most of his life off the grid in downtown Portsmouth, New Hampshire. The book is as well an elegy for a time and place--the New England seaport city of the early 1990s that has been lost to development and gentrification, capturing the life Robert was able to make in a place rougher around the edges than it is today. It is a meditation on what writing asks of those who practice it and on the nature of solitude in a culture filled with noise and clutter. KATHERINE TOWLER is author of the novels Snow Island, Evening Ferry, and Island Light, and co-editor with Ilya Kaminsky of A God in the House: Poets Talk About Faith. She completed her undergraduate degree at the University of Michigan and graduate degrees in writing and literature at Johns Hopkins and Middlebury College. She has been awarded fellowships by Yaddo, the Virginia Center for the Creative Arts, the Bread Loaf Writers' Conference, and the New Hampshire State Council on the Arts, and served as the Bennett Fellow at Phillips Exeter Academy. She teaches in the MFA Program in Writing at Southern New Hampshire University and lives in Portsmouth with her husband.